Since I purchased the Civic a few years ago, one of the things that I didn't like was the headliner. It had some cigarette burns and the fabric was peeling off. And in early September it was peeling to bad that it was a distraction while driving so we finally decided to replace the fabric. 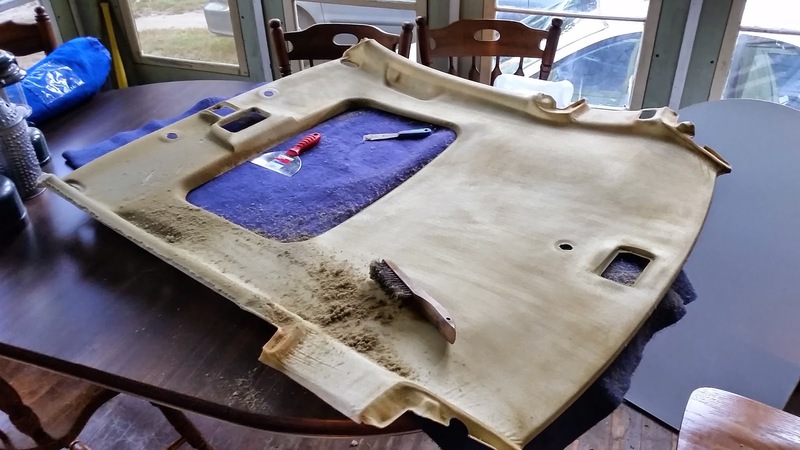 The first thing we had to do was take the headliner out and strip off the old fabric and foam. It took about 4 hours to remove all the old glued foam using a wire brush. One of the previous owners must have been a serious smoke due to the tar we found, but the Civic itself didn't smell like smoke. I also found a ton of those Christmas tree air fresheners which is probably why. 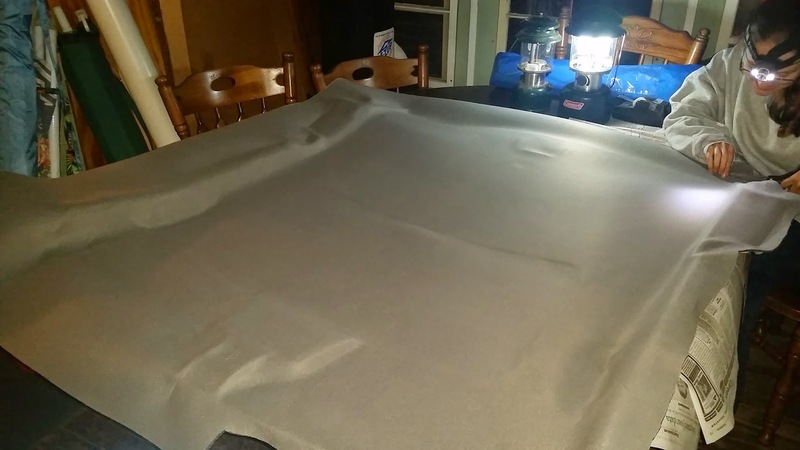 Next we laid out and glued down the new headliner fabric we got from Joann Fabrics. 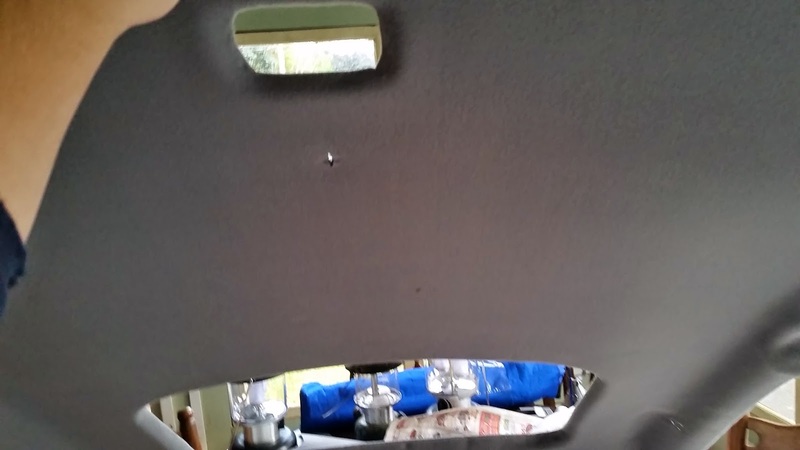 It took a while to smooth it out and get the fabric to go nicely into all the little nooks and edges of the headliner board. Once it was down we let it dry for 24 hours and then cut the holes out for the lights and sun roof. Once that was done, installing it was easy and now the EV looks much better, and has a bit of a new car smell!